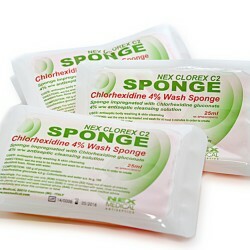 Nex Medical Antiseptics provides high quality and innovative antiseptics, disinfectants and skin care products. We at Nex have a strong commitment in research & development of innovative and rational solutions for skin disinfection & care. We care, infections beware! 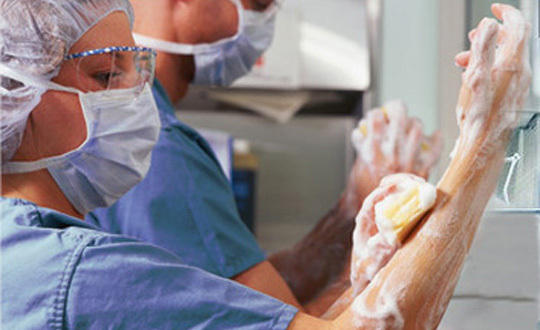 A systematic approach to scrub procedures together with effective scrub products are the key elements in the strategy of infection prevention in OR. We care, infections beware! Nosocomial infections are a significant problem throughout the world and are increasing. Preventing infections is our focus on research & development. Nex is a leading brand in skin & surgical hand disinfection. Our Company was founded in 1998 with a clear mission: to develop & manufacture advanced solutions for skin care & disinfection with the highest contents of technolgy, innovation and quality. We care, infections beware! 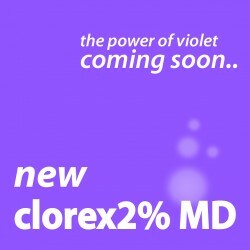 The new range of clorex2% MD is coming soon. Follow us to discover all features of the new, powerful and advanced range dedicated to needle-free connectors. Map of our services across the world. Find all products on our brochure. 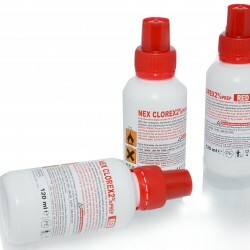 DUBAI 26-29 JANUARY 2015 Please visit our booth at the ITALIAN PAVILION – Sheikh Saeed ..
Nex Medical is launching the new CLOREX2% RED™ – Chlorhexidine 2% based antiseptic solution ..
Don’t wipe, cleanse it! From the latest development activities at Nex Medical Laboratory, a ..